Recently we published an article about how small businesses can take advantage of artificial intelligence (AI). We listed Chatbots as one of those things small businesses can employ now to take advantage of Al of immediately. Chatbots are revolutionizing the way people interact with businesses and can make a real difference in how they communicate with your business. A chatbot is computer software that mimics human conversation either in writing (via instant messaging or text) or by voice (think of virtual assistants like Siri or Alexa). A chatbot is simply an interface that allows humans to interact with stored information in a conversational manner. In the last few years, popular chat applications such as Facebook Messenger, Skype and Slack, are chatbot enabled. That means you can use these publishing platforms to host your chatbot. 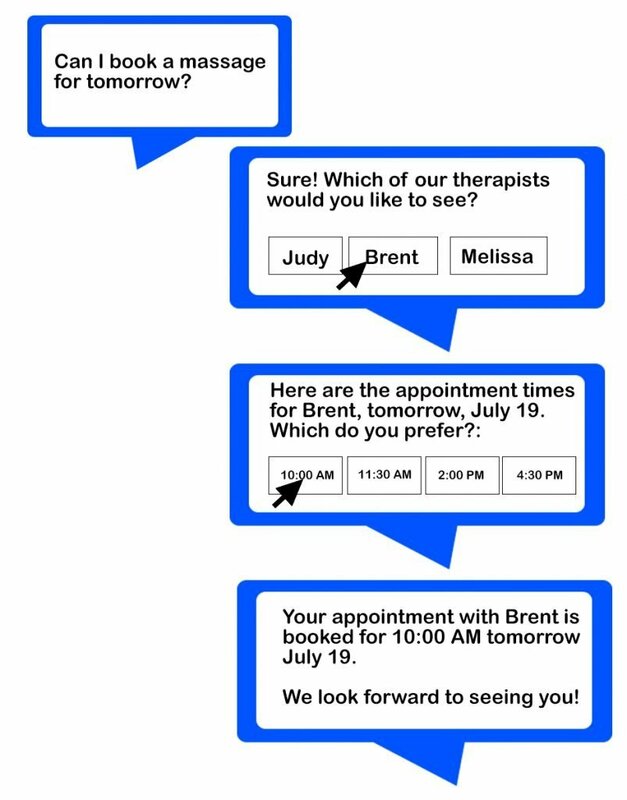 Over the past several years, Chatbots have been scripted; with output that has been pre-defined. 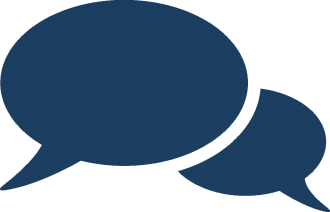 All the likely questions and their answers are stored in a database, so when the user asks a question, the chatbot looks for the most pertinent answer. If a question is asked that the bot has not been programmed to answer, it cannot answer. More recently, however, chatbots have become AI enabled. That means using machine learning and Natural Language Processing (NLP) a chatbot can answer nearly any question. AI chatbots take input from a user, either by voice or text, and convert it into data by using Natural Language Processing (NLP). It then uses that data to query a data set for answers, converts the answers back into natural language and provides it to the user. Let’s eat grandma. I’m hungry. Let’s eat, grandma, I’m hungry. Certainly, the intent isn’t to eat grandma, but without NLP a bot would have no way to distinguish. NLP is how the machine learns to interpret the intended meaning of the user. The bot’s response must know the intent to provide a proper answer. The response: “Would you like catsup or mustard on Grandma?” would not be as appropriate as “Let’s order a pizza? People LOVE to chat and text; often in preference to talking on the phone or in person. In fact, a recent study by Twilio, one of the leading providers of phone and text software services, states that 66% of consumers prefer to use messaging when communicating with companies rather than via phone. Phone apps compete for space on your phone, and statistics show users only use a few of their favorites on a routine basis. All the others are used once or twice, never to be looked at again. Some of today’s most popular apps such as Facebook Messenger, WhatsApp, Slack, Skype, Snapchat and Kik and other popular applications people use every day can be leveraged to take advantage of Chatbots giving you the ability to interact with them where they live. So when a chatbot can use the chat application your users already use to accomplish the same thing that a stand-alone app can do, that’s music to their ears (and yours!). Your customers will love interacting with you when you provide actual value in the places they already spend their time. In 2016, 1.6 billion people used mobile messaging apps. That number is expected to reach 2 billion people, or 80% of smartphone users in 2018. Here are two examples of what chatbots can do to streamline and automate your business. Users can be self serve! People are looking for faster, more efficient ways of doing things, so being able to just ask a question and get the answer quickly is a prime reason bots are becoming so popular. Virtual assistants such as Siri, Alexa, Cortana and Google’s assistant are recognizing voice commands and providing answers, essentially replacing search as the primary way we find information. Basic Business Information Is Hard To Find— like address, hours of operations, and phone number — being hard to find (28%). Because there are now many platforms that can be leveraged to create chatbots that are AI enabled, building and deploying a chatbot is far less expensive than hiring and training human operators. Creating chatbots that use conversational AI technology will allow you to engage with your customers in any way you can imagine. Chatbots will transform the way traditional customer service is being performed. Here are some standard ways you can use chatbots for your organization, but don’t be boxed in to the ordinary, continue reading to learn other creative ways AI chatbots are engaging the public. Qualify Leads: Rather than make your prospect complete a webform and then wait for a return call, a chatbot can allow you to pre-qualify your leads through a series of questions. The prospect will receive immediate gratification as well. Translate Languages: A chatbot is a great way to do language translations, allowing you to open your business to a larger customer base. Provide Customer Service: Because chatbots don't sleep, you can create one to provide self-serve customer service which operates 24 hours a day 7 days a week. Collect Additional Data: As your chatbot continues to do its job, it will be collecting valuable data and insight because of its interactions. Business Intelligence: The data collected will give you information you can use to improve, grow and strengthen your market share. If all the above is not enough to convince you that Chatbots are an exceptional way to increase your user engagement, read some of the cool things that are already being done. Domino’s Pizza’s Twitter. Domino’s allows customers to order pizza by simply sharing an emoji. Educational chatbots are giving educators an innovative way to deliver lectures and make their classes more engaging. 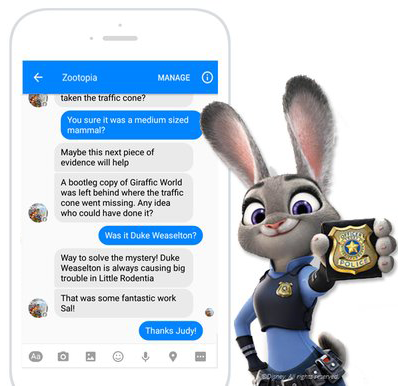 The Disney created Bot, a character from Zootopia called Judy Hopps, was created as an interactive game for users to solve a mystery. During the 16 days the bot was live, she exchanged millions of messages. Users spent ten minutes on average interacting with her. Walk with Yeshi: A collaboration between Lokai and Charity: Water simulates what it is like to walk 2.5 hours to find clean water. This experience uses Facebook Messenger. Think of cool things you can do to engage your customers and create a bot for that! There are now dozens of bot development platforms available to you for building your own chatbot, on many of them, you don’t even need to know how to write code. What will be important is for you to first decide on what you want to do with your bot. 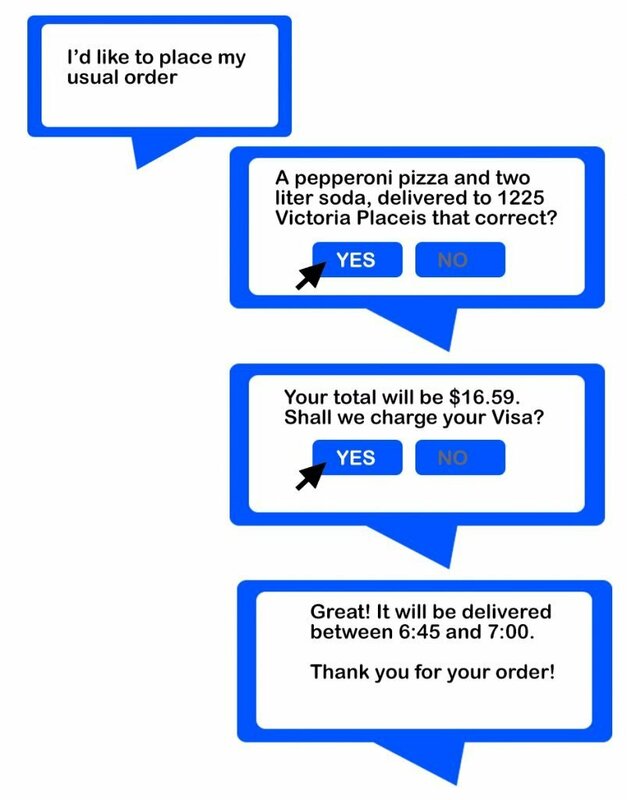 Next, you will decide where you want your chatbot to live; in other words will it be a Facebook Messenger bot, one on your website, one to use with virtual personal assistants? Will you need more than one bot for different purposes? For example, you may want a bot that helps visitors place orders on your eCommerce site and a different one for your careers page. Technology has made it easier to DIY, but not everyone wants to try building and deploying a chatbot on their own. Sofmen has developers on staff that can create even the most complex chatbots. Let your imagination help you create a chatbot that truly engages, let us help you build it. Previous Previous post: How Can Your Small Business Take Advantage of Artificial Intelligence?